You’ll trigger this quest on the 26th of Winter, just before the end of the year. 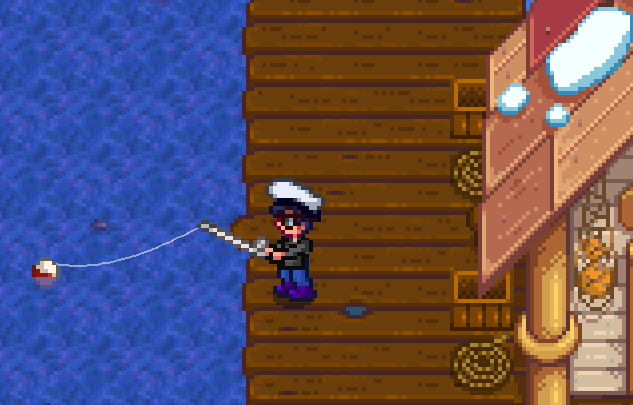 Gus, the owner of the Stardrop Saloon, wants an Albacore for his menu. He asks you to go fishing for one. This is a tricksy proposition, as Albacore only pop up during the Fall and the Winter. You’ll only have three days to catch the fish before it disappears for two entire months. 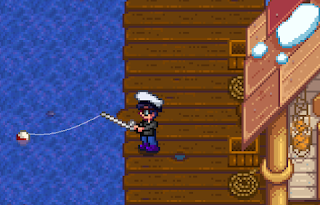 Albacore only appear in one area of Stardew Valley, and that’s the ocean - in other words, down on the beach. Head to Willy’s shop and fish off of the dock, preferably with a higher-quality rod (Fiberglass or up) and some Bait. It shouldn’t take that long to snag an Albacore. They’re relatively wily fish, so don’t expect to succeed at this unless you’ve developed your Fishing Skill by at least two or three levels. Take the Albacore to Gus. He spends the majority of his day at the Stardrop Saloon, with occasional trips to Pierre’s, so he’s usually pretty easy to find. He’ll give you 400 gold via the Journal for your help.